RUSH: It’s fascinating the way this works. Just earlier this week it was Erik Prince and the Seychelles that was gonna nail Trump, right? And then before that, it was something else. It was Nunberg was gonna nail Trump, and then George Nader was gonna nail Trump, and he was setting up Trump for a back channel to talk with Russia a week before the inauguration. Wait a minute! Why would they need a back channel if they’d been colluding with Russia for a year and a half? You know, everything that they have told us that they were gonna use to get rid of Trump has come and gone and Trump is still there. And, by the way, don’t doubt me on this. I’ve been told by people that are in a position to know that the original objective on this whole Trump collusion thing was to have him gone by the summer of 2017, by six months in. That was what everybody involved in it thought was gonna happen. That’s why so many of the people were willing to compromise their integrity. Look, the media allowed themselves to be used every which way you can be used by the intelligence community. The media simply repeated what they were told. They didn’t fact-check anything, didn’t corroborate anything. They literally became mouthpieces. The media became the mouthpiece for the intelligence community and the deep state. They ran whatever they told ’em — and you know who was doing the ordering? It was the Obama administration. So they kept it up on the Trump campaign, and the way they did it was exactly how we know they did it. They issued surveillance on the Russian ambassador and any number of other foreign agents that they knew members of the Trump campaign and the Republican Party would be talking to. One of them was the Russian ambassador. So not only did they get Michael Flynn this way, that’s how they got Sessions recused. They leaked! 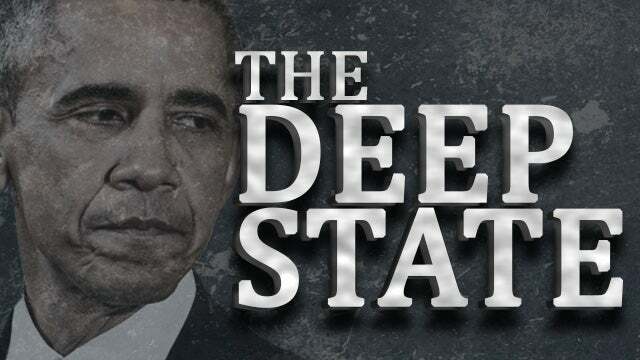 The Obama administration through the media — the media acting as mouthpieces for the government, for the intelligence community, for Obama. They’re surveilling Kislyak. Kislyak has a couple meetings with Sessions. They unmask Sessions (which is a felony), violating his privacy; then they leak within this heightened period and atmosphere. “Not only was Flynn talking to the Russians, so was Sessions!” They did this leak after Sessions was in the running for attorney general. That’s how he recused himself. They engineered Sessions’ recusal by unmasking him as a person the Russian ambassador was talking to. It was the media that was fulfilling this. One of the lead media actors here is a reporter that worked during this time for the New Yorker and for the Washington Post, a guy named Adam Entous. Adam Entous (E-n-t-o-u-s) is at the forefront of this simply acting as a mouthpiece for whatever James Clapper told him, whatever John Brennan/CIA told him, whatever unnamed CIA or intelligence agents were telling him. He just ran with it, including a story… Do you remember this? They ran a story in this Trump business that the Russians had successfully shut down the electrical grid in Vermont. So they gave that story to Entous. He ran with it! He didn’t check it. He didn’t call people in Vermont at a grid or at the dam that was shut down. He just ran with it, and it turned out to be totally, 100% false. The electric grid not only wasn’t taken down. It wasn’t taken down by the Russians, and a gigantic dam in Vermont didn’t stop, and yet it was reported. Well, when people like who these sources are — the intelligence agencies or Obama. When they see that they’ve got a sponge and a mouthpiece like this, they keep using it, and that’s basically how this happened. Now, one of the things to keep in mind is that the reporters — and Adam Entous is not the only one. There’s all of them. But he really was at the top of the list in terms of people the Obama administration thought could do their bidding and not question them, not double-check them, not fact check them, not report them. Just repeat it. They did all this — people compromising their integrity in their jobs — because it was so important to get rid of Trump. It just was requirement A, B, C. They had to get rid of Trump, for all the reasons we’ve been through: outsider, establishment, all this stuff. But the point is, they expected it to be done in six months. They expected that after six months of this that Trump would cry uncle or people would demand Trump go, and then everybody could go back to behaving like they were before Obama started spying on the media and others during the Iran negotiations, which was happening. We know this was happening. Obama was spying on the AP. Obama was spying on James Rosen of Fox News. He was spying on all kinds of people opposed to the Iran deal. But once they figured they got rid of Trump, then they could go back to just being sycophants rather than mouthpieces. Well, they haven’t gotten rid of Trump, so they haven’t stopped any of this. They haven’t gotten rid of Trump. So the same bastardization of media that happened with the Obama administration and the Iran deal is now continuing, and it may end up being something permanent. And what’s ironic about this is, it’s always been the Democrats that want to shut the intelligence community down. It’s always the Democrats that hate the CIA. Frank Church from Indiana wanted to deal all kinds of negative blows to the CIA because of things they were doing around the world, upsetting duly elected countries and so forth. The fact that liberals are now acting as mouthpieces for the intelligence community is kind of staggering when you realize that these people genuinely have been suspicious and hated, the intelligence community. 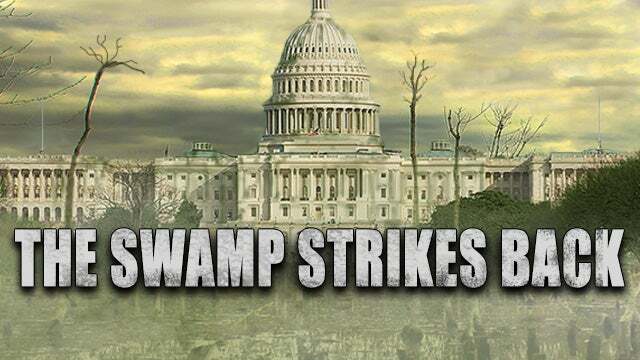 Now they’re running whatever they say without question; they’re leaking whatever they get; they’re not reporting names of the sources or any of this — and it may become a permanent fixture of the way the media and the so-called deep state do business. Because what’s happening now is not reporting. There isn’t any journalism going on. We simply have elements of the establishment joining forces — in this case, the intelligence community, the Obama administration, and the media — to use brute force to achieve their objectives even if those objectives are overturning a duly constituted and legal election, which 2016 was. That’s what we are still in the throes of, and the fact that they were unable to get rid of Trump in six months? That was a key element of this. They really believed they would be able to do this. Hell, Jimmy Kimmel! Jimmy Kimmel last night after the North Korea talks were announced said (paraphrased), “It doesn’t matter. It won’t matter. 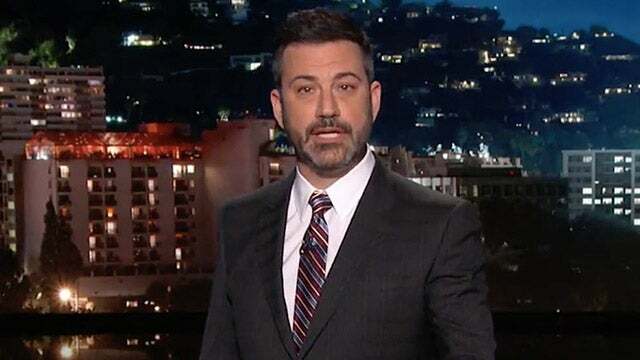 Trump’s not gonna be president by May so we don’t have to worry about this meeting ’cause it isn’t gonna happen, ’cause Trump’s not gonna be president by then.” Why would Jimmy Kimmel, who’s a genuinely beclowned himself guy now, be saying this? Who’s telling him this? Well, we know he’s got a pipeline to Chuck Schumer’s office, but now who else? But they have totally corrupted themselves, and they’ve done it willingly. The media has allowed itself to become pawns and tools of the CIA, the FBI, the National Security Agency. The media is now the exact opposite of what their sacred constitutional requirement is. They’re supposed to be there holding truthful and powerful people accountable. Instead, they have been suborned. They have been subordinated. They have been controlled. They have been taken over and subsumed by the very people they’re supposed to be looking out for. It’s an amazing thing. The media has been rendered a bunch of sycophants, willingly. They did it willingly. Now the question is, can they roll back clock, turn back time, and once again assume… I mean, once you have gone down the path for a year and a half of reporting whatever the intel community and the Obama administration people want you to report, how do you turn tail and run? How do you now…? How do you stop what you’re doing and all of a sudden report truthfully on ’em — the Democrats, I mean. Some in the media are very worried about what I just said because they know it. They’re very concerned. They can’t… Leftist reporters who are not buying into any of this relationship with the intelligence community and so forth — and they’re pretty radical leftists. Glenn Greenwald. Steven Cohen of The Nation. There’s a bunch of them out there that are not at all happening with what Chuck Todd and the CNN people have allowed to happen to them at the major networks. There is gonna be a breaking point to this.